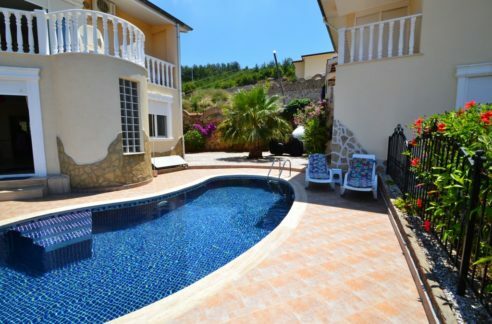 There are totally 34 private villas located in the complex where only Europeans reside. 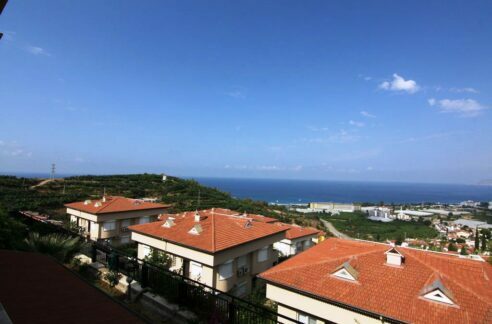 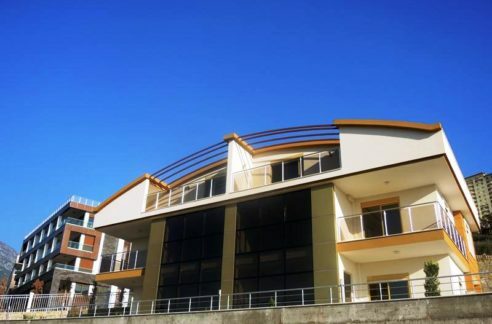 The complex is located in the area of Kargicak just 1.5 km to the beach and shoppings. 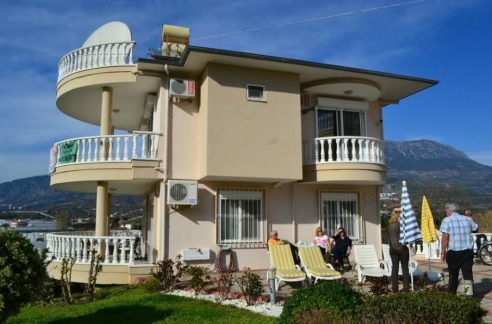 The House is located on a plot of 500 m2 and has a living area on a floor of 165 sqm with living room, kitchen, 3 bedrooms, 2 bathrooms, terrace, garden and pool area with sea views, mountain views.